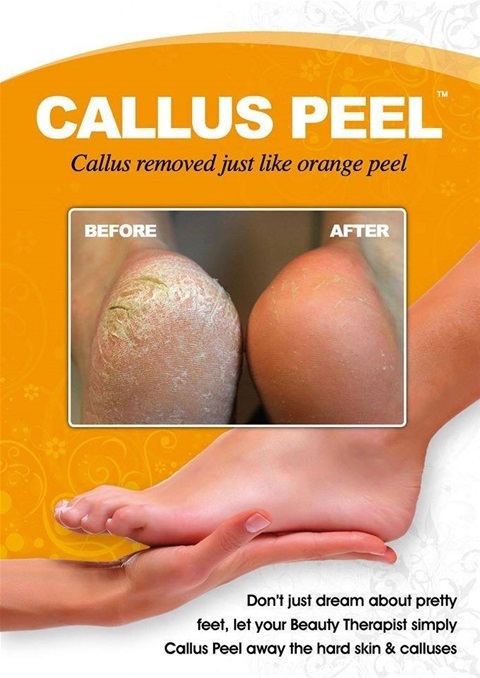 The Callus Peel is a four step system for baby soft feet. A skin softening patch that is wrapped around the bottom of the foot to soften the skin, then a special scraper is used to gently peel off the dead skin cells causing the callus, followed by the third step polishing the remaining skin. The treatment is then completed by applying a special moisturising cream. This treatment gives immediate results leaving your feet in tip top shape from the minute you walk out the salon.